Family Facilities. 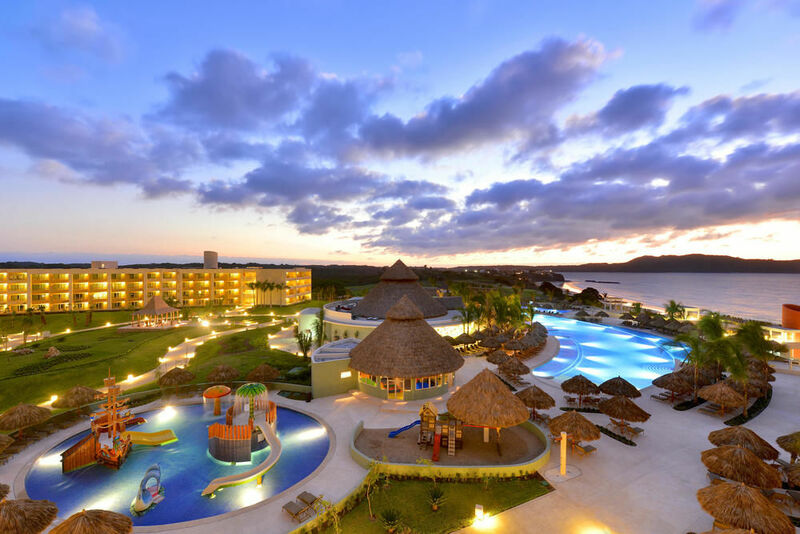 Guests of all ages will enjoy the many amenities provided by IBEROSTAR Playa Mita, from luxurious accommodations to a Splash Park and a Disco, everyone can enjoy their all-inclusive stay. Facilities also include a shopping area, gym, library, spa and even tennis courts. Exquisite Cuisine. 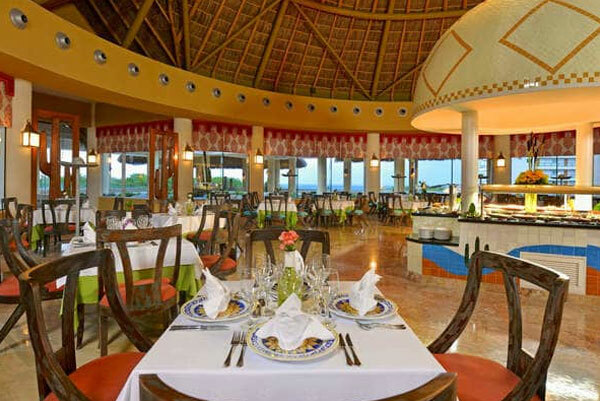 At IBEROSTAR Playa Mita, guests can choose from endless culinary options and delectable dishes offered at the hotel’s four specialty restaurants and Nopal Buffet. These restaurants are inspired by international cuisine and famous Mexican seafood dishes, like shrimp meatballs, aguachile, shrimp tamales, and freshly caught fish on the grill. Whether day or night, guests will also find 8 available bars around the hotel serving assorted snacks, local and international drinks. Sports. 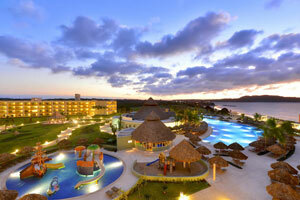 Guests who wish to stay active will enjoy unlimited sports and amenities provided by IBEROSTAR Playa Mita. 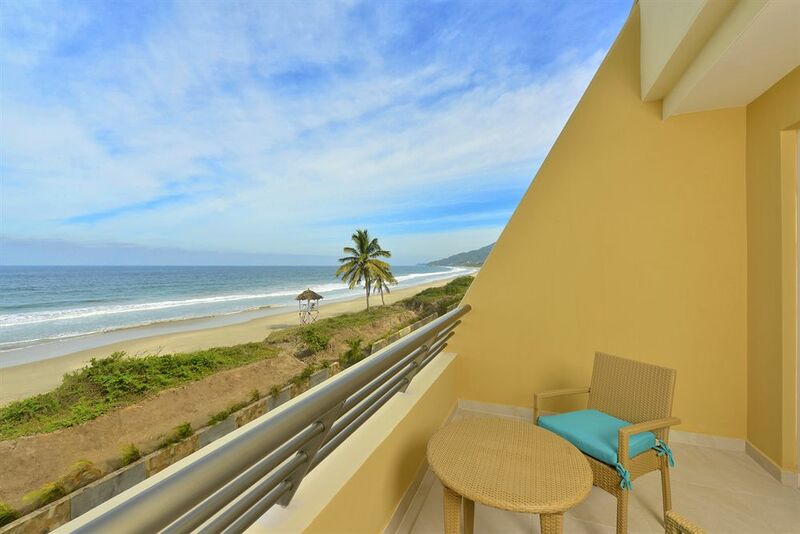 The hotel is also next to the Litibu Golf Course, one of the top golf courses in Riviera Nayarit, which combines breathtaking oceanfront views and green surroundings extending more than 362 yards. Many of the activities provided at the hotel are already included with your stay like kayaking, water aerobics, beach volleyball, a fully equipped gym, ping pong, non-motorized watersports and even windsurfing. 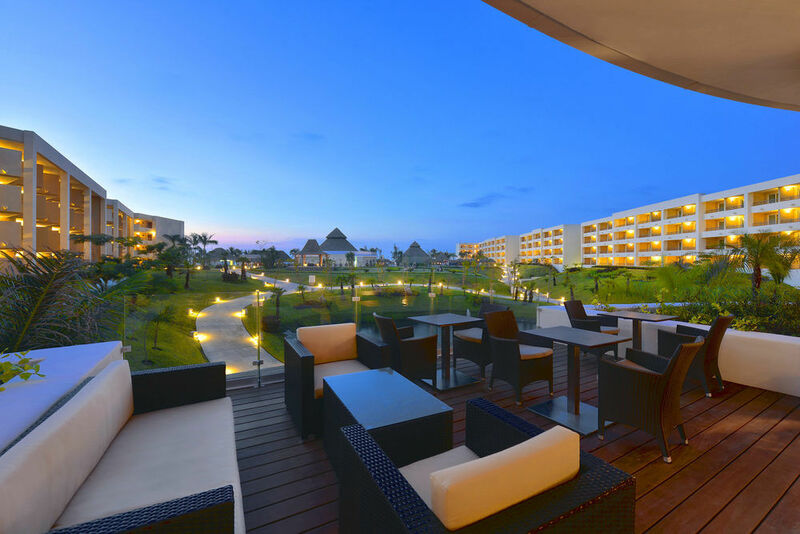 The stunning 452 rooms at the all-inclusive IBEROSTAR Playa Mita exhibit carefully selected interior designs, 24-hour room service, and a friendly atmosphere perfect for relaxing with family and friends. 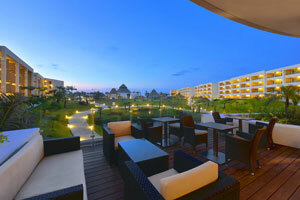 Guests will enjoy a unique all-inclusive location and welcome ambiance in the Riviera Nayarit. 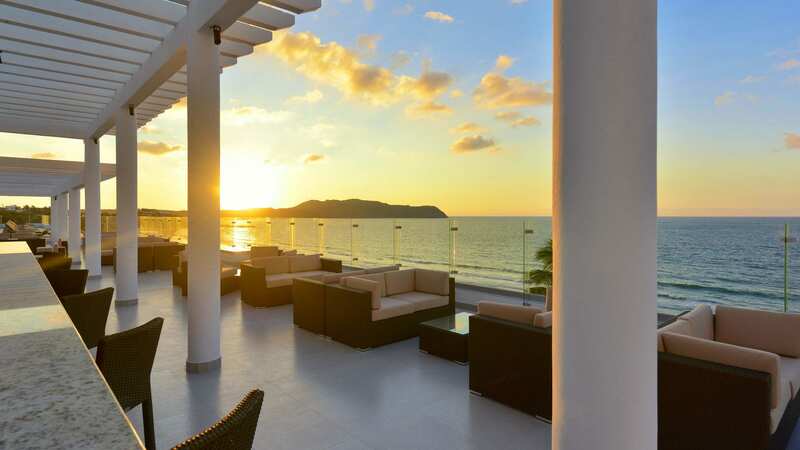 Nestled between the Pacific Ocean and the rugged Sierra Madre Mountains, the 5-star, all-inclusive IBEROSTAR Playa Mita Hotel is a tropical delight. 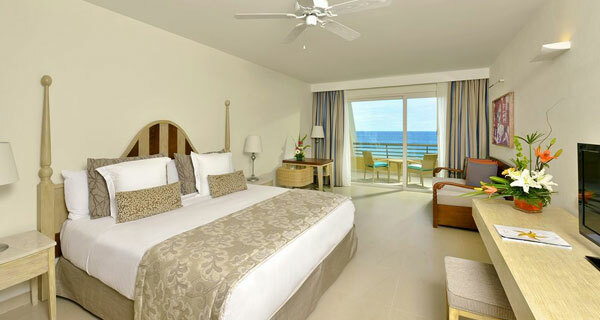 Your all-inclusive stay means that exhilarating activities, mouthwatering cuisine and a thoroughly relaxing atmosphere for the entire family are part of your perfect getaway. 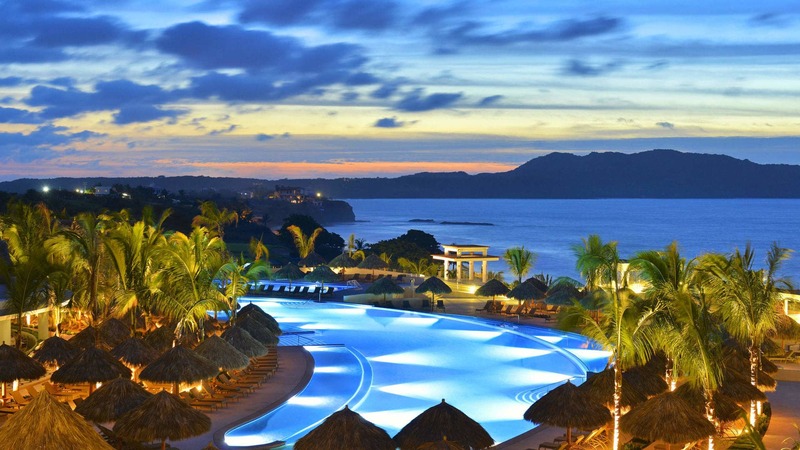 An incredible variety of entertainment and wonderful diversions awaits guests at the 5-star Premium Gold IBEROSTAR Playa Mita. From the excitement and fun of shows, the disco or engaging kids activities to the calming and healing of yoga, pilates or the Jacuzzi, there are myriad opportunities to stimulate the mind and soothe the soul. 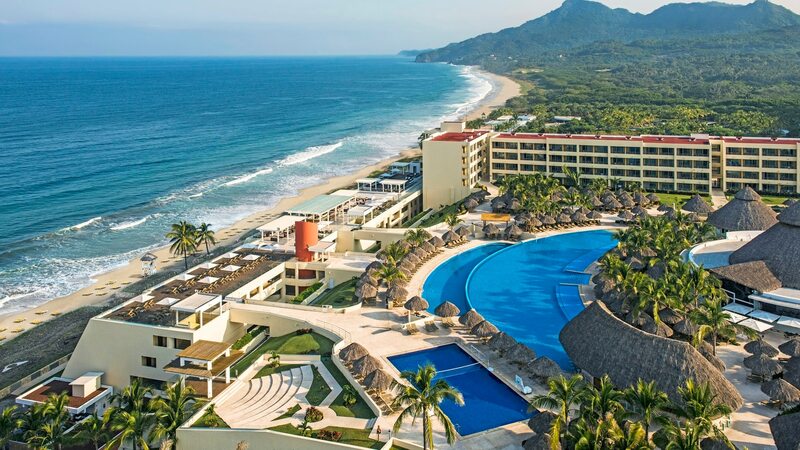 And with the incredible tropical beauty of the Riviera Nayarit as a backdrop, a truly magical all-inclusive vacation is in store for the whole family. Kid’s Water Park: The place for some wet and wild fun. Hours: 8:00 AM-8:00 PM. For children from 4-12 years old. Kid’s Club: The place to get together for organized games and free play. Hours: 10:30 AM-4:30 PM. For kids 4-12 years old. Teen’s Club: Activities geared toward the youthful set. Free use of computers, Wii, X-Box and WiFi. Hours: 10:00 AM-10:00 PM. For youngsters 13-17 years old. Mini-Discotheque: Kids can dance and mingle to their own rhythms. Located at the theater, just before shows. Hours: 8:00 PM-8:30 PM. For children from 4-12 years old. Handicrafts: All kinds of creative and fun things to make. Hours: Tuesday -10:30 AM. For children from 4-12 years old. Mini-Olympics: Are you ready to compete? Hours: 3:00 PM - Wednesday. For kids 4-12 years old. Mexican Lottery: A fun, musical lottery game to make your stay all the more enjoyable. Hours: 3:30 PM - Friday. For kids 4-12 years old. Bicycling: Go for a pleasant ride around the grounds. Hours: 10:00 AM. La Tabla Discotheque: Fabulous cocktails to keep you going as you dance the night away. Located in the main building. Hours: 10:30 PM-3:00 AM. Open to adults 18 years of age and older. 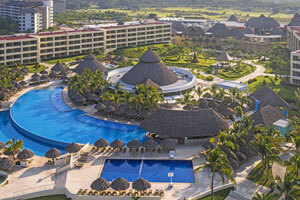 The 5-star all-inclusive IBEROSTAR Playa Mita has a bewildering variety of sports activities to thrill and challenge guests of all ages. From diving in the tropical waters of the Pacific and racing across the water in a catamaran to tennis, golf or yoga; both kids and adults alike will be challenged and engaged sunup to sundown and into the night. Tennis: Work on your backhand or just enjoy hitting a few balls with a friend any time of day or night. Hours: 7:00 AM - 11:00 PM. Reservations: Required at reception. Archery: Try an ancient sport that really develops good hand-eye coordination. Hours: 3:00 PM. 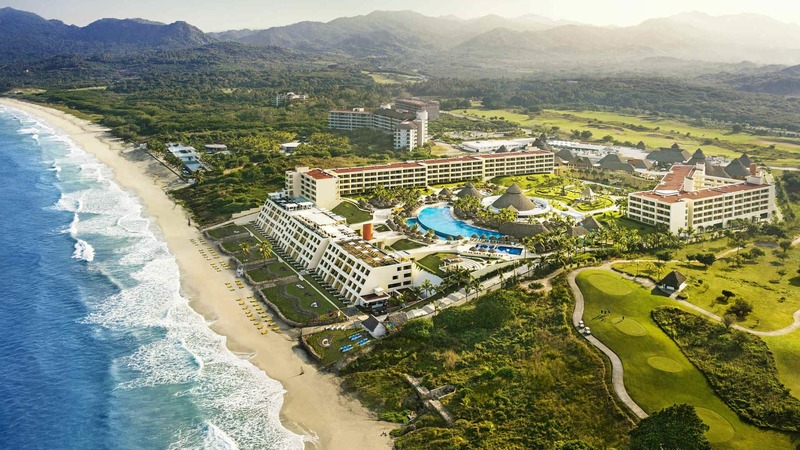 Golf: Hone your skills at the fabulous Litibu Golf Course, one of the top courses in Riviera Nayarit and right at the hotel. Additional charges apply. Hours: 7:00 AM - 5:00 PM. Reservations: Required with the concierge. 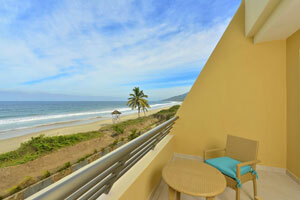 Yoga Classes: Relax body, mind and spirit in a most breathtaking environment. Hours: 10:30 AM. Beach Sports: The quintessential beach activity for working up a sweat and working on your tan. Hours: 10:30 AM. Ping Pong: Fast and furious or a relaxed back and forth, it’s a perennial favorite. Hours: 11:00 AM. Riflery: Fire off a few rounds and perfect your focus and concentration. Hours: 10:30 AM. Zumba: Enjoy a fun session, full of rhythm! Hours: 4:00 PM. Concierge: Eager and knowledgeable, ready to help make your stay flawless. Hours: 7:00 AM-11:00 PM. Gratuities, Taxes: All tips and taxes are included, so there’s nothing to worry about. Sensations Spa: Pamper yourself with a full range of spa services including massage, facials and therapies that calm and soothe. Access to steam room and wet areas are free of charge. Hours: 8:00 AM-8:00 PM. Reservations: Required. Cyber Café: Happy to look after the little ones for you. 2 kids maximum. Additional charge apply. Hours: 24 hours a day. Reservations: Required with the concierge. 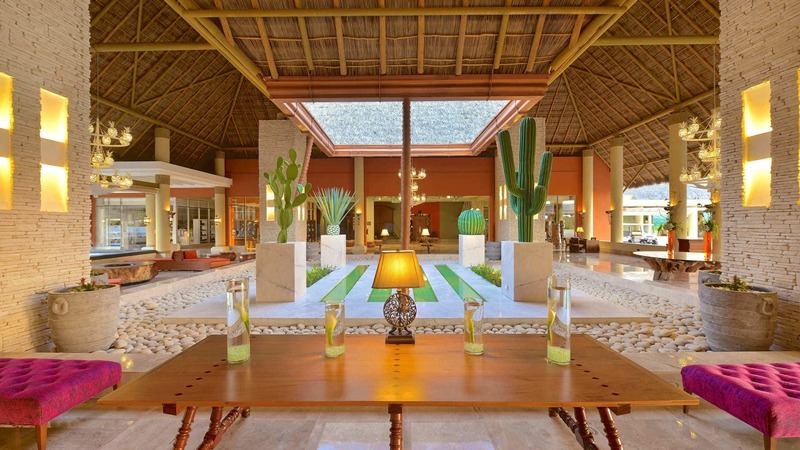 Find inner peace and serenity at our all-inclusive hotel spa in the Riviera Nayarit. 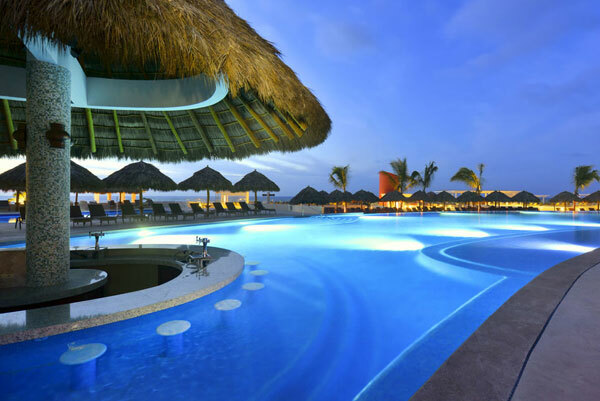 With an array of specialized treatments and services you will leave IBEROSTAR Playa Mita feeling wonderfully refreshed. Waiting for you are facials that promise cell repair and renewal and deep massages to help release all of your built up tension. At our Spa Sensations and wellness facilities you are sure to find the relaxing getaway you were in need of. 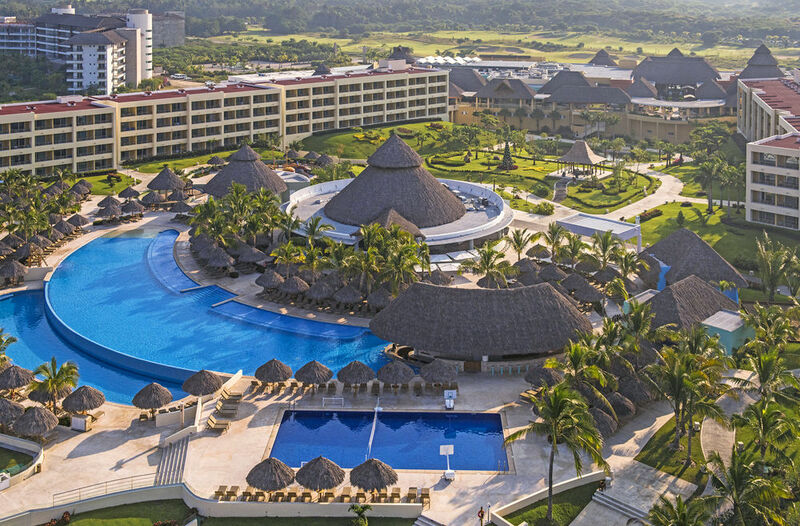 At this top travel destination in Mexico you can experience an authentic escape to relax both body and mind, only at IBEROSTAR.